Hot tub and pool product specialist Certikin International will be officially launching a brace of new Fantasy Spas models to the British trade during the 20th anniversary of SPATEX at the Ricoh Arena in Coventry. During the three-day showcase, running from January 31 to February 2 in the Jaguar Exhibition Halls 1 and 2, a diminutive two-person rectangular ‘Aspire’ double lounger model that has been designed to fit through standard doorways; and a five-seater ‘Splendor’ will be introduced to current and prospective dealers visiting the Certikin stands as part of the promotion for the low-cost and user-friendly rugged ‘plug and play’ roto-molded Fantasy Spas range. They will be joining the three-seater ‘Embrace’, four-seater ‘Drift’ and five-seater ‘Entice’, which have been produced with technologically advanced polymers in a RokSolid shell and cabinet for the Fantasy Spas range by hot tub giant Watkins Manufacturing. 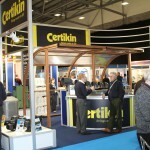 Certikin International has been a steadfast supporter of the SPATEX exhibition for many years and will once again be repeating its traditional major presence on Stands D10 and D14 during the ‘sold out’ extravaganza to highlight its wide range of hot tub models and pool accessories options; as well as promoting exclusive launches of new products for the market. As well as promoting its blossoming partnership with Catalina Spas to provide USA-manufactured pedigree swim spas to its growing dealer network, Certikin will also be heavily promoting its established exclusive UK distributor status for the Caldera Spas hot tub models. These USA-manufactured models include the top-selling WhatSpa? 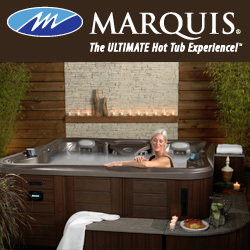 Best Buy Award-winning Marino from the Vacanza Series; as well as the imposing eight-seater WhatSpa? Best Buy Award-winning Cantabria from the Utopia Series. A Cantabria supplied by Certikin to dealer SPS Swimming Pools and Spas has helped to transform the life of soldier Sam Hobbs who is featured in the latest issue of Hot Tub Retailer magazine after taking on a new role with the Holland-on-Sea-based dealership. The enthusiasm that Sam has showed about hot tub ownership and his Cantabria, which has assisted his recovery from having one of his legs amputated after suffering serious complications from an injury he incurred whilst on active duty in 2012, helped him to land his new role promoting the Caldera Spas range at SPS Swimming Pools and Spas that started in the autumn after his treatment ended. During the three days of the 20th anniversary edition of SPATEX, Certikin will have experts on hand, including Director Ben Studdy, to focus on the Caldera Spas range and the exclusive launch of the two additional Fantasy Spas models for its dealer network to target the entry-level market. Like other options in the Fantasy Spas stable, the Aspire is a ‘plug and play’ model that is a roomy two-way lounger that has an accessory tray, which can act as a table for drinks or games, and towel hooks. Once again Certikin and Ben Studdy will be highlighting the fact that these models are available to existing as well as prospective dealers throughout the UK. For further details about becoming a Fantasy Spas UK hot tub retailer or Caldera Spas dealership visit the Certikin International display areas on Stands D10 and D14 or call Certikin on 01993 778855.